Many years ago Hubby began to talk about cow’s milk and how we should shy away from it. In the beginning, I basically ignored him. No milk? No way! Over time, study, and just wanting to become a better health eater, I started to take him more seriously. Here is why I decided No More Cow’s Milk For Us. There is lots of research out there if you google or youtube. Read up on the topic because I know you will find info to make you think. Today I’m going to share with you a section from my Forks Over Knives book that I recently read. It sums it up well and scares me too. Casein, the primary protein in cow’s milk, may be one of the most potent chemicals carcinogens ever identified. Linked to increased risk of cancer, juvenile diabetes, multiple sclerosis, and many other conditions. Humans have no nutritional need for cow’s milk. Cow’s milk is designed to provide baby calf with adequate nutrients to grow from 70lbs to 1000lbs in one year. And it contains casomorphins, addictive compounds similar to morphine, to ensure that the calf will stay near it’s mother, safely nursing and growing. Casomorphines are addictive for humans as well, which can make giving up dairy a challenge. One day, about six months or so ago I quit buying cow’s milk altogether. I buy all different varieties of almond milk ~ plain, vanilla, sweetened, unsweetened, even chocolate! Then one day I discovered a new variety. Blue Diamond Almond Coconut Blend. A combination of both! It was soooo good. Even Hubby couldn’t stop raving about it. I emailed my friends and family and told them they needed to try this milk. Yum! So here I am today, sharing with you Blue Diamond Almond Breeze and how they became a staple at our house. Yes, I use it to cook with, put in cereal, etc. Try it!! And that is why No More Cow’s Milk For Us! Edited later to add: Lately I’ve made my own. Check out my Homemade Strawberry Almond Milk recipe. WIN a FREE coupon for Blue Diamond Almond Breeze in any flavor! 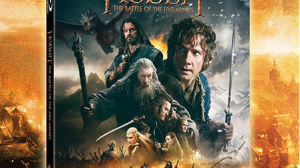 The Hobbit The Battle of The Five Armies Movie Giveaway! I hadn't heard about the Coconut blend, now I need to head out and try that. Thanks for the info! While I respect you wanting to eat healthy, I don't foresee me ever giving up cow's milk or cow's milk products. I know cow's milk is for calves, but I believe God put the milk there for us too. One thing that springs to mind is squirrels like nuts and birds berries, does that mean we as humans shouldn't eat nuts or berries? I'm not saying that there aren't possibly negatives to human's consuming cow's milk. I just don't like reading statements along the line of cow's milk is for cows. Thank you for wording your post so well though, Courtney. I was not offended by it at all. I've read some very confrontational and nasty comments on the cow's milk issue before. Take care! P.S. I wouldn't mind trying this product though or seeing if it is one that my sister who has special dietary needs could use. I've never tried almond milk, but would love the opportunity! Yes I have thought about giving up cows milk. Never tried almond milk. My husband and I just watched the Forks over Knives documentary and have been wanting to give up cow's milk. I just wasn't sure where to start! I thought about trying a new variety of "milk alternative" each week and seeing what we like best. My mom likes Almond Breeze...I may have to try it too! I would love to find the almond milk/coconut milk blend! yes, have thought about giving it up. Love vanilla almond breeze and now so does hubby. Kids don't like it much though. Working on it . . . I've never tried but would really love to! We have all three adults in our home have given up regular mild for Almond Breeze! I've never tried this...but would love to. Sounds like it would be delicious. THank you! I've never thought about it. If I win the coupon I will definitely get it and try it. We are slowly weaning off of cows milk my husband is the only one having issues with getting it fully out of the house. My kiddos love almond milk in any flavor! I haven't completely stopped buying cow milk but I have been integrating soy milk and I like it. I'd love to try almond milk. Thanks! I have not had cow's milk in 15 years!! We drink almond milk at our house but Silk brand. We LOVE it! I have never tried blue diamond brand. The coconut and almond blend sounds YUMMO! I will have to look for it next grocery-go-round. YeS!! We love Almond and Soy milk! I have not tried almond milk, usually drink silk/soy milk if I drink milk at all! LOVE almond milk!! Will NEVER go back! I started drinking Almond Breeze over a year ago when I went on a no wheat, no gluten and no casein diet. I had also started seeing a naturopathic doctor and found out I had food sensitivities to 31 different foods. I absolutely love Almond Breeze and love drinking it! It has a fantastic taste that anybody will love!! I've been reading about milk from time to time. I've considered changing to something else but hadn't figured out what. I will give this Almond Breeze a try! Off to find some coupons!! I would be interested in receiving some of the info you've gathered on pros/cons of cow's milk. My girls love milk, as do I, so it may take some convincing to get them to try something else. I have tried Almond Milk, but never Almond Breeze and I would love to try them! We are about half the time realy dairy and half the time almond or rice milk! Almond milk is my favorite and coconut is close second! I can't drink regular milk anymore and it just doesn't taste right now. I'm trying to switch to almond milk slowly. Milk is much cheaper so most times I buy cow milk for the price. I haven't tried almond milk yet, but I'm lactose-intolerant and ought to :) *Thanks* for the giveaway! I have thought about tiring this drink. My Dr. told me to quick drinking milk. My family drinks cow's milk, but I have a good friend who's daughter is extremely allergic to all things dairy. If I win, I will give her my prize. We're an almond milk family! I usually use soy milk, but I'd like to try Almond milk. My wife loves almond milk! I don’t drink mik, but I do love ice cream, milkshakes and cheese. I have thought about it, but I may just give it up for a month and see if any of the things wrong with my body improves. I’ve heard that some people have an allergy without even realizing it. I found out I was lactose intolerant about 13 years ago. At the time I really didn't think much of it figuring that there was just something wrong with my body since I couldn't digest it. The further along I have gotten though I have read and realize that cow's milk is not made to feed humans. It is made to feed calves. However, try to tell that to milk lover and they just roll their eyes. I've tried a few things since giving up dairy. I liked soy milk ok, but it was thick, left and aftertaste and had too much estrogen to be healthy ( I have since found out). I like rice milk as well, but fell in love with Almond Milk a few years ago. It is the perfect consistency for me! Not too thick and not too thin. Now that I am nursing a baby - because Mama's milk is the best for her! - I have fretted over what to do when she gets bigger. I do plan to nurse until she decides to stop, but what if, for instance, she wants cereal like Daddy has (He's a milk drinker)? I just haven't been able to convince him I really don't want to give her any if possible. I live my life that way and am very healthy, so I am confident she can be, too. Yes, I have tried Almond milk, and I like it! We have not tried Almond Milk yet! We do drink cows milk and soy milk tho. Not sure we could give up cows milk. We love milk! Thanks! I am vegan and have been lactose intolerant for 22 years! I love almond milk amd am so glad to see how popular it is becoming! I haven't tried it yet, but my son has given up dairy all together. I think I would try this first before deciding to give up dairy. No cows milk for us. Always Almond Milk. You never know what you are getting with cows milk...hormones, antibiotics, the list goes on. My family gave up cow's milk about 4 years ago, and my favorite milk is almond milk. At first, we did soy milk and WIC gave us soymilk but we heard bad things about the soy protein isolate in soy milk, so we rarely drink soy. Though we eat lots of tofu as everything we've heard about fermented soy products are good. I totally reccomend almond milk though I have not tried this specific brand. I've never tried almond milk, but I'd like to. I've never thought about giving up regular milk entirely, but I have reduced the amount I consume. i gave up cows milk about 10 years ago. i looooove almond milk! My family only drinks alternative milk- coconut, almond, grain, hemp, or other non-cow milk varieties. We had to switch because my son is on a GFCF diet to combat autism. I never drink cows milk and only love to drink almond or soy milk. I gave up cows milk about 4 yrs ago and LOVE unsweetened almond milk! I generally use it just for on cereal and cooking but I don't mind it right out of the glass...I just generally drink water. This is such a great alternative to cows milk! I switched to almond milk a few months ago. I love it! It tastes sooo good! I love almond milk! YUM! I would love to try this! Thanks for the chance to win. I have tried soymilk, but not almond milk. I love almond milk! I have had cows milk in years! I've not yet tried almond milk, but I'd like to! I use almond milk every morning in my cereal, it's tasty and 1/2 cup of plain is 0 Weight Watchers points! I would never give up dairy. I've never tried almond milk before but have tried an Italian drink called Orzata which is very good. Don't want to give up dairy... but I do keep rice milk and/or almond milk on hand. I think Blue Diamond has the *best* chocolate almond milk. Very much looking forward to trying this. Glad to give up dairy. I am a vegetarian, so I watch my protein intake. Almond milk tastes great, but I wouldn't drink it all the time since it hardly has any protein. I gave up dairy 2 years ago when diagnosed with breast cancer. Now I only drink Almond milk. I have not tried this - but would like to! Yes. I still rarely drink cow's milk and I don't like it much anymore. I, however, looove almond milk. I don't drink cow's milk and have been using soy and almond milk for years. I use Soy Milk, but I'd love to try Almond Breeze. I have tried almond milk before and loved it! i'm a vegetarian so i've though about giving up cow's milk, but havent done so completely. the only milk i actually buy though is almond breeze. i never buy actual cow's milk, i only consume it in other products. I would like to try it--especialy coconut-almond blend. I love the milk almond! I've tried and love almond milk. I have tried almond milk although haven't given up cow's milk completely. I do like the taste of it better than soy. I use it in a lot of recipes and look forward to the day when I've totally "weaned" my life off of dairy for good! I have given up animal milk and love almond milk. I've tried almond milk before. It was better than soymilk. We only purchase Raw Milk - not the stuff you find in your local grocery, this comes straight from a local farm with no processing. There's a HUGE difference. I buy soy milk from time to time too, but I don't think we've tried Almond Milk before. 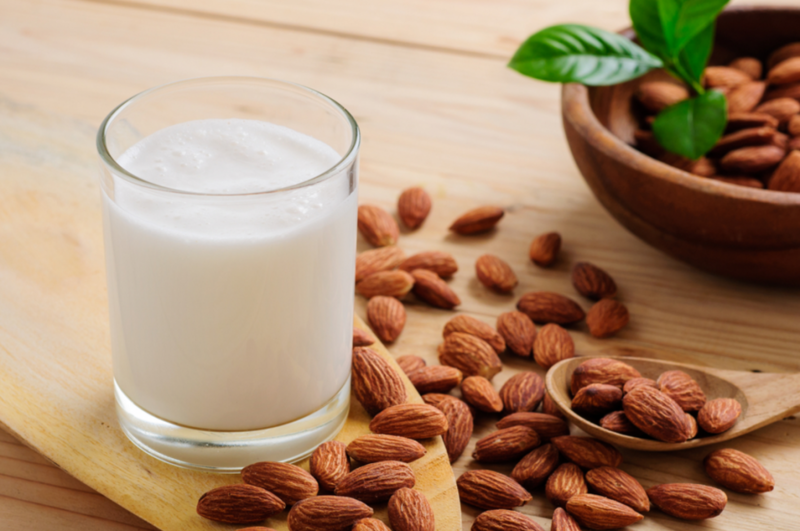 I haven't given up cow milk... and I'm not sure I could...however, I have heard that Almond milk is good and would love to try it. I have tried it, but I haven't tried the shelf-stuff. Haven't tried it. Do use soy. Thanks for the contest. this is the only almond milk I will drink. It tastes the best of all the brands out there! I am lactose intolerant and drank soy for years, until I discovered how awesome almond milk is! I have tried it and loved it! I've tried almond milk and am trying to drink less cow milk. I LOVE almond milk...and coconut milk! Mmmm. Better for our health and tastes SO very much better than cow milk!! I've actually always hated cow's milk. And until we found out my daughter was allergic to it, I literally had no idea about the alternatives! We tried soy at first because that's what WIC gives you if there's a dairy allergy, but I found almond milk and I fell in love! Now I actually drink milk more than just added to my coffee lol. I have never tried the almond milk. I'm not a big milk drinker because it rarely agrees with me. Would love to try an alternative! I have thought of giving up dairy because I'm semi Lactose intolerant. I LOVE Almond milk. I gave up dairy years ago and love almond milk! I love Almond milk as it gives cereal such a different but good flavor. I have tried Almond Milk before and like it! I've thought about giving up cows milk, but never actually done it yet! I would love to try out almond milk.